These thumb shifters have been on my bike for around three years but have seen virtually no use in that time. Consequently and as can be seen from the photos, they are in great condition and come with original packaging and instructions. 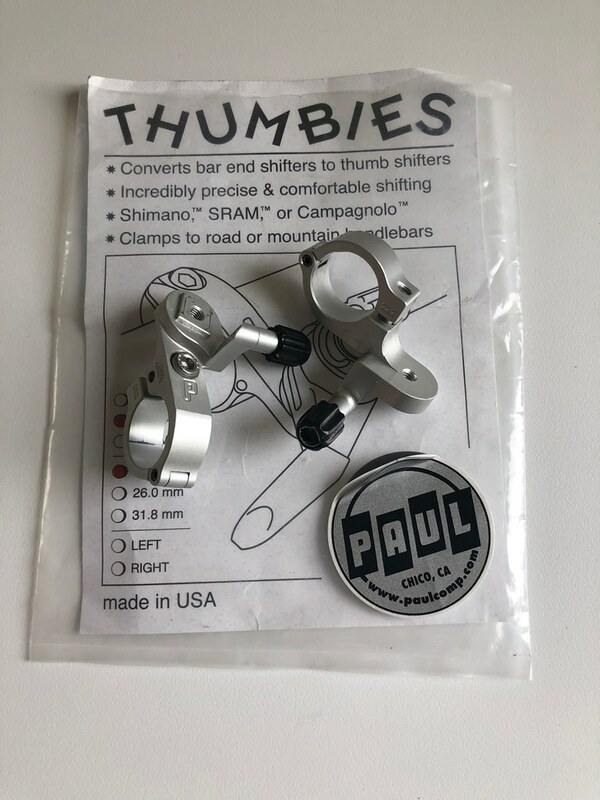 I've now replaced the straight bars on my Thorn Sherpa for curvy moustache bars and reverted to bar end shifters, so my thumb shifters are surplus to requirements. The cheapest I can find them online is around £59 including postage. I'm offering them for sale at just £45 with FREE postage and packing.